Marcos Buckeridge explains how death and destruction in sugarcane roots can lead to the development of gas spaces, which improve root function. When we think of development in biology, we probably first think about the processes of cell division, tissue, and organ formation. In many cases though, for an organ to develop, cells and entire tissues have to die. This process is known as Programmed Cell Death (PCD). 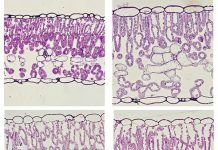 Many plant tissues undertake PCD, a phenomenon that can be associated with modifications in cell walls (Tavares et al. 2015). In seeds, endosperms and cotyledons may undertake PCD after germination takes place. 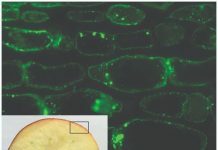 At the same time as cells die, their reserves (starch, lipid, and cell wall polysaccharides) are transferred to the growing seedling, allowing them to quickly cross the phase of establishment and become competitive with others (Buckeridge 2010). Fruit tissues may develop in the same way. While entering PCD, the middle lamella (the layer of polysaccharides between plant cells) is dissolved, providing means for seed dispersion. The flesh of the fruit becomes edible, and we use this as important food products. Thus, death-related processes may be adaptive because they “create” function. 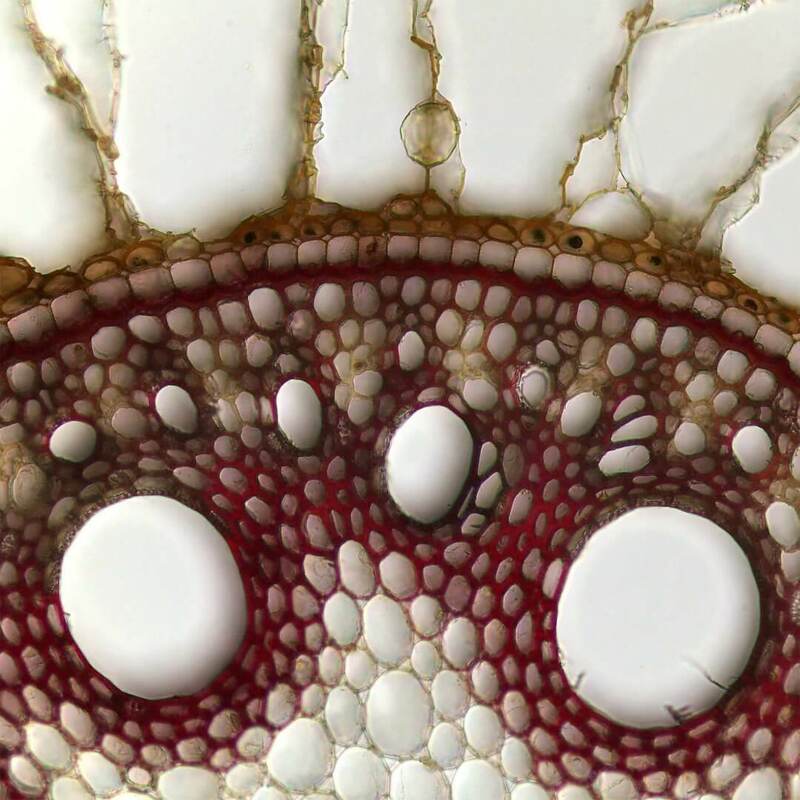 Another process that is capable of creating a function in plants is the formation of the aerenchyma. 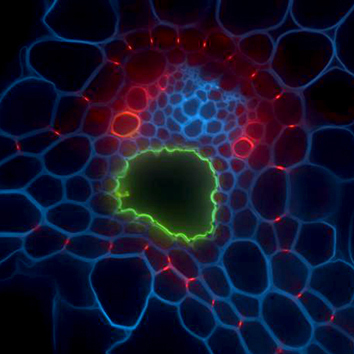 Aerenchyma are a set of interconnected gas spaces that are thought to facilitate oxygen transport within the plant (see the video below). 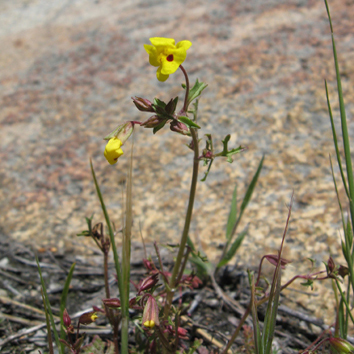 We now report in Annals of Botany (Leite et al. 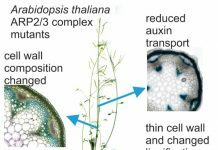 2017) a complete analysis of cell wall-related events during aerenchyma formation in plants. We unveiled some of the complexity of the Glycomic Code of the cell walls (Buckeridge 2017), and showed that while PCD is completed, cell walls probably acquire another function. While one of the hemicelluloses is retrieved from the wall, others stay and seem to be modified to bind more strongly to cellulose. The result is the formation of a composite that coats the inner part of the gas channels. The latter is thought to be responsible for the conduction of air and delivering of oxygen to the living cells of the root, which absorb nutrients and transport them to the upper part of the plant. The evolution of the aerenchyma possibly illustrates what can be a result of a mechanism named ‘transference of function’ by Leylard Stebbins in 1974 [later on renamed to ‘exaptation’ by Gould and VBRA (1982)] using unique properties of some of the highly complex Glycomic Codes present in plant cell walls to intensify their functions. Marcos Buckeridge is Associate Professor at the Department of Botany of the University of São Paulo and Director of the National Institute of Science and Technology of Bioethanol (INCT do Bioetanol). From 2009 to 2012 he was also Scientific Director of the Brazilian Bioethanol Science and Technology Laboratory (CTBE), in Campinas. Buckeridge´s work has generated four edited books and more than 150 publications in plant physiology, biochemistry and molecular biology of crop species, forest and urban tree growth and development related to the Global Climate Changes and bioenergy production. In 2010, Buckeridge was appointed a Lead Author for the Intergovernmental Panel of Climatic Changes (IPCC) report (AR5) published in 2014. In 2017 he was appointed as a Lead Author of the IPCC for the Special Report Global Warming of 1.5°C, to be released in 2018. Buckeridge is a member of the Institute of Advanced Studies of the University of São Paulo working on the research group of Environmental Studies. 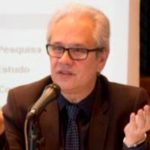 He is the current President of the Academy of Sciences of the State of São Paulo. Stebbins G.L., Seeds, seedlings and the origin of angiosperms, in: Beck C.B. (Ed. ), Columbia University Press, New York, 1974, pp. 300–311.